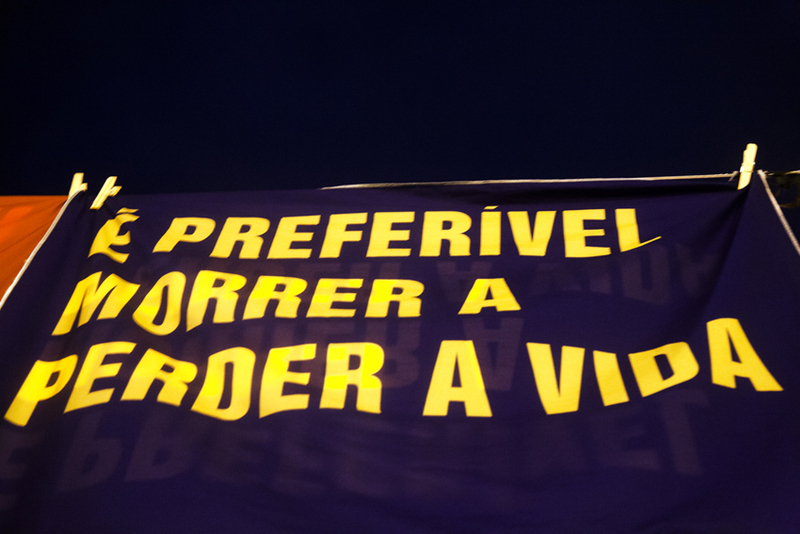 JÁ! 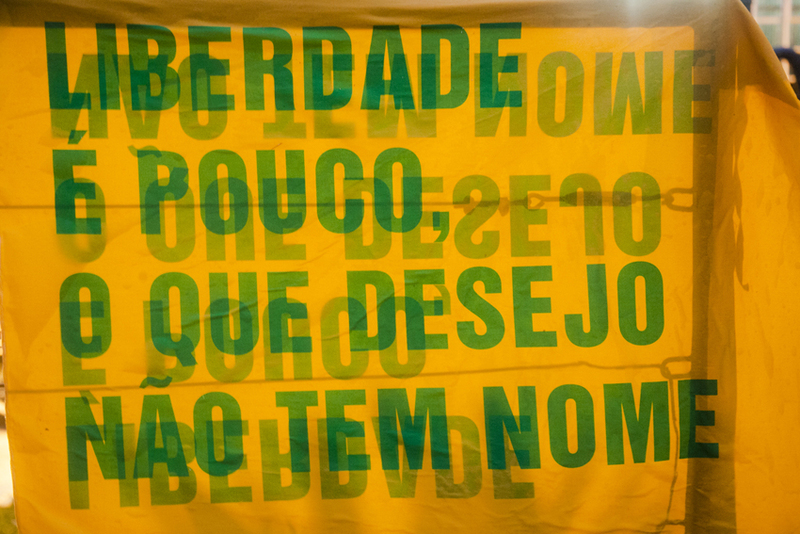 is a site specific project by Pieke Bergmans & Nikki Gonnissen (Thonik), that takes place during the Bienal Brasileira de Design in Florianopolis – Brasil – 2015. 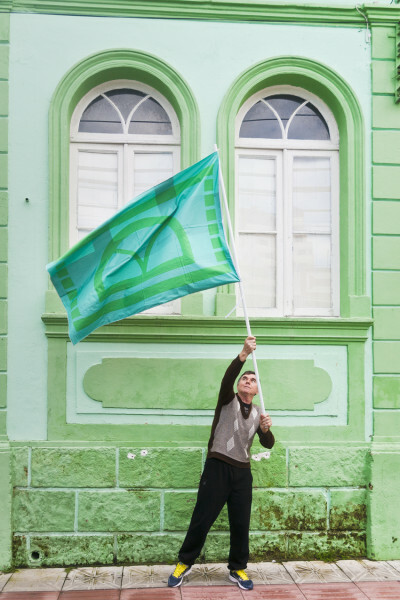 Gonnissen and Bergmans created banners, flags and letter-dresses to interact with and celebrate democracy, free speech and creativity. 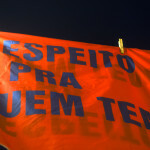 JÁ! 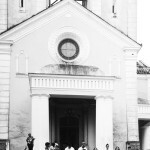 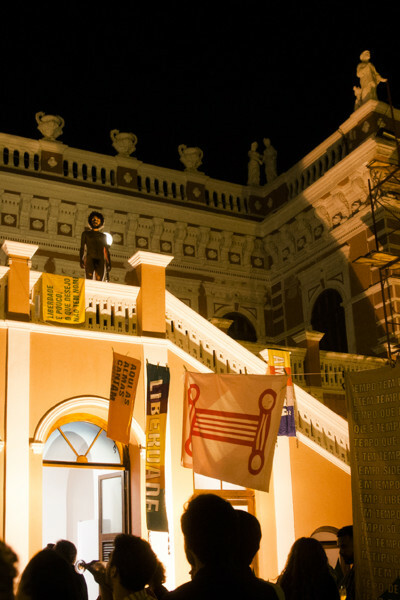 finds its inspiration from the Novembrada-protest in 1979. 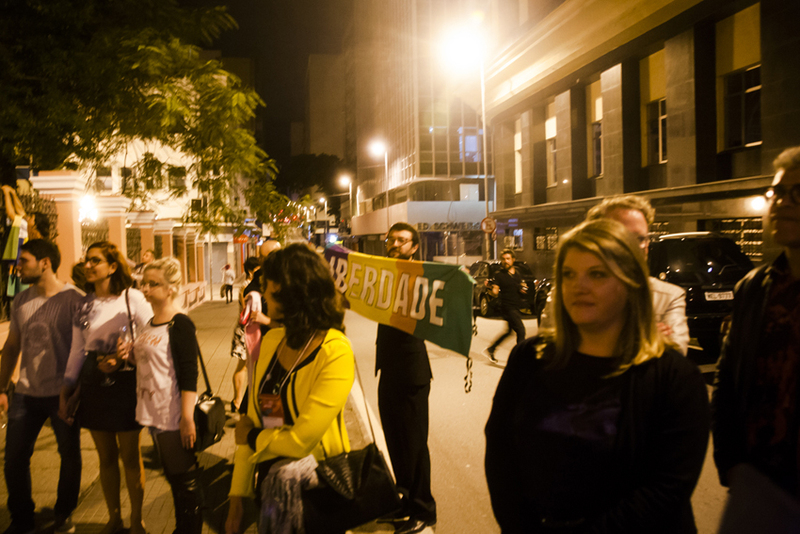 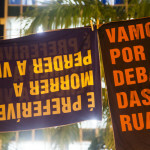 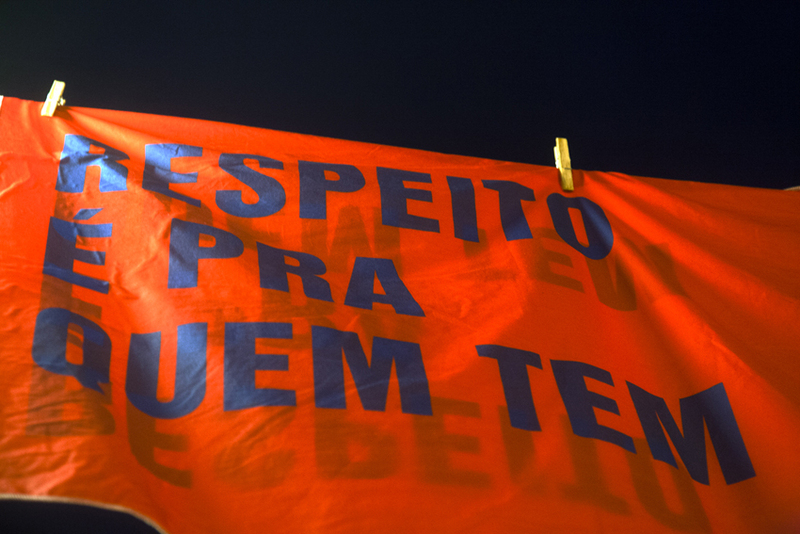 It was the first large-scale demonstration against the military regime in Brazil. 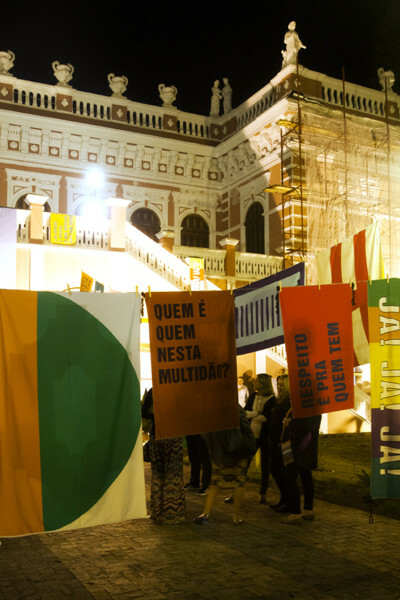 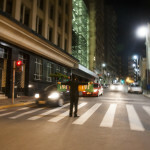 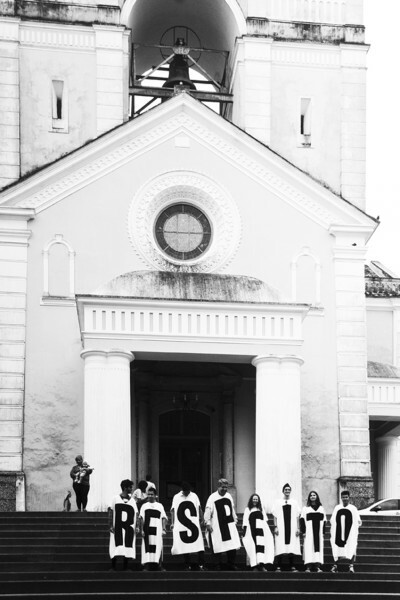 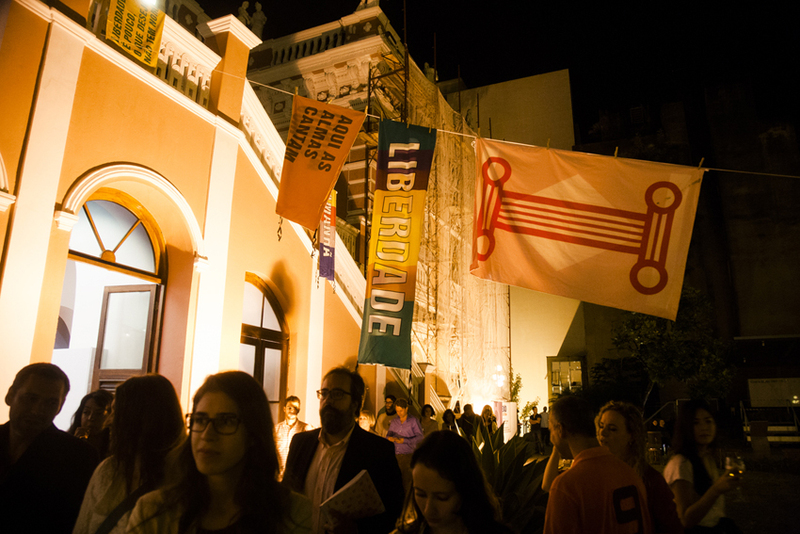 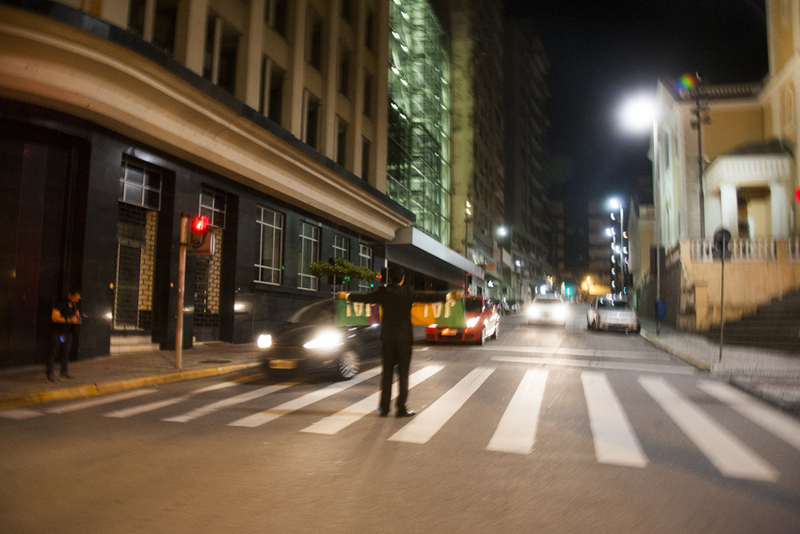 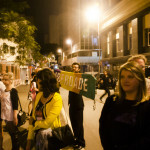 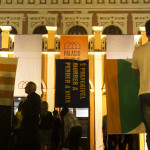 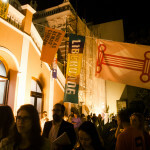 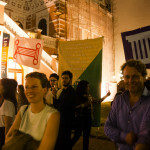 And it occurred in the bustling center of Florianópolis, right in front of the museum Palácio Cruz e Souza where the Dutch Design Biennal takes place! 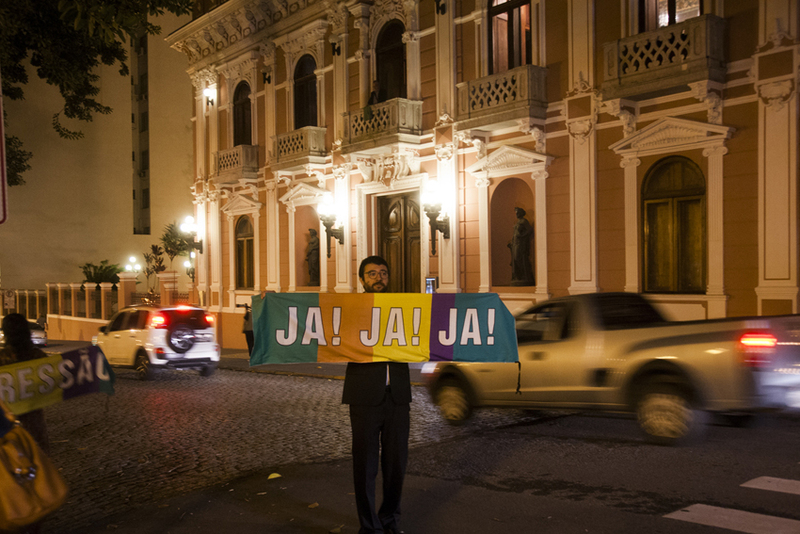 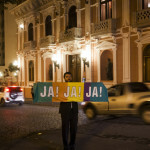 Curator Jorn Konijn transformed this Palacio of the governor into ‘Palacio do Povo’ – house of the people. 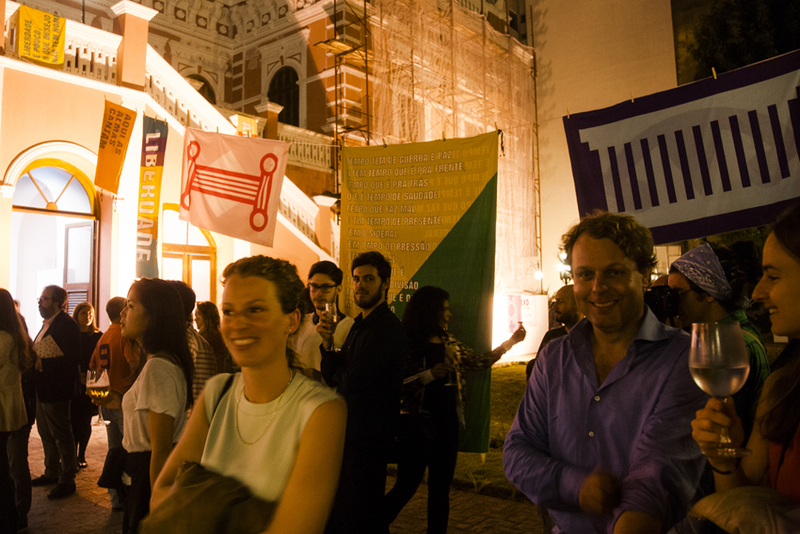 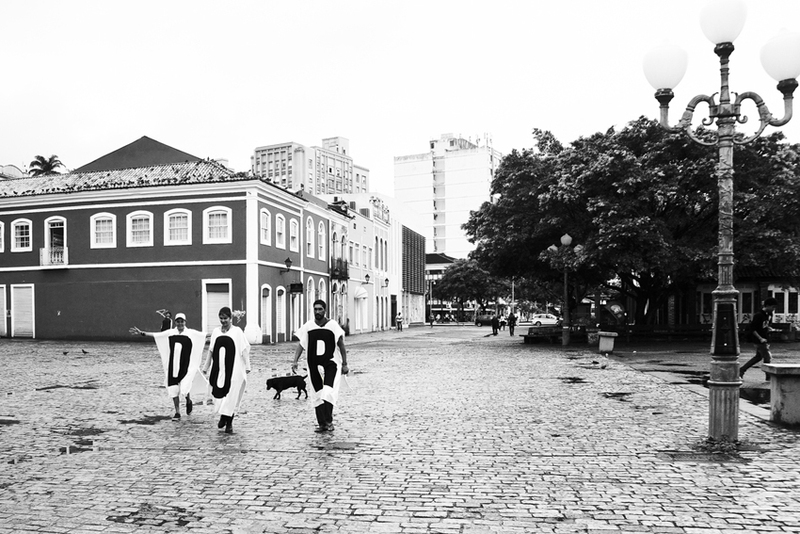 Gonnissen and Bergmans would like to raise attention in a poetic and creative way and discuss the idea of democratization in Brazil ‘today’ and specifically in Florianópolis. 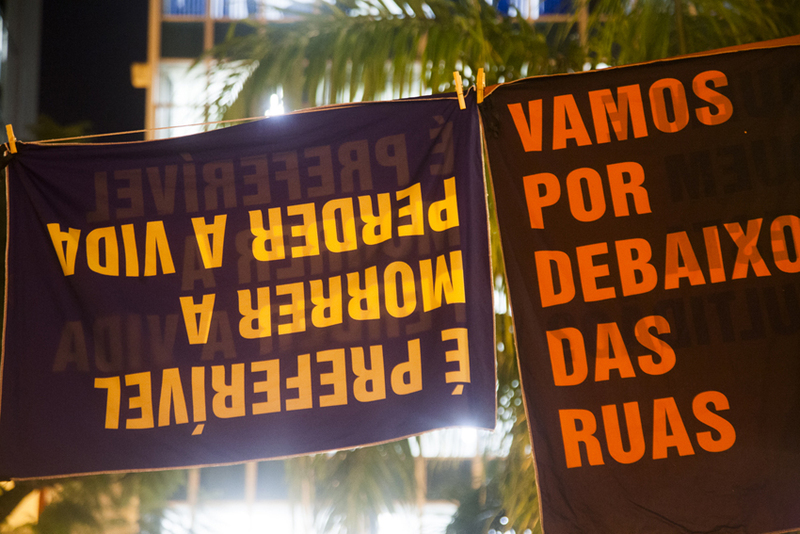 This theme is extremely relevant in Brazil since last year’s election where themes such as democracy, freedom, and military intervention have been activated by several protests questioning presidential election. 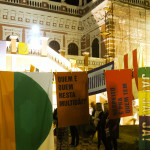 Bergmans & Gonnissen organized a new ‘demonstration’ and invited Theatre Group Erro to interact with the banners and flags they designed. 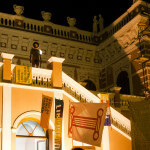 In this performance the ‘Palace of the governor’ was taken over and became ‘Palace of the people’. 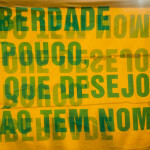 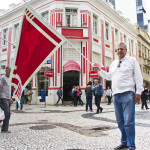 Fernando Vidal da Rocha (one of leading people at the Novembrada-protest 1979) was present at the opening of the Design Bienal. 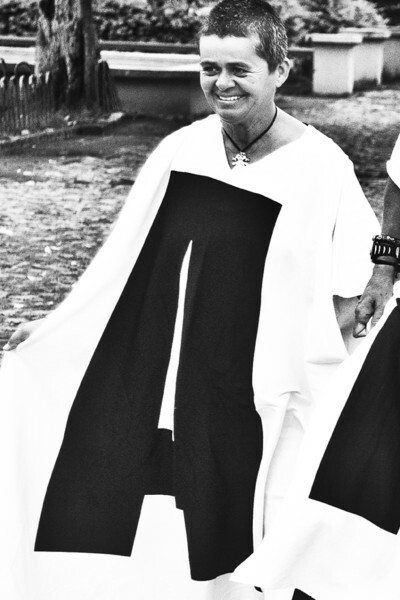 He played an important role in the performance. 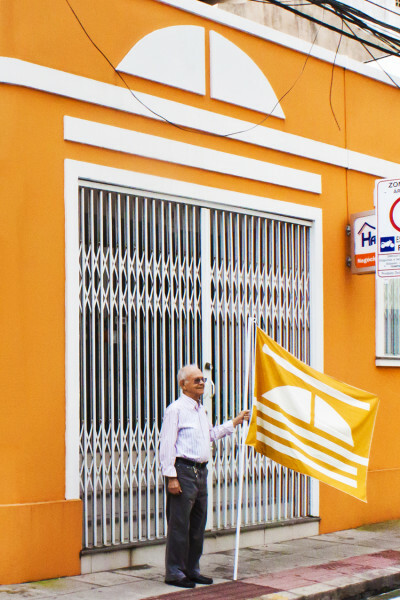 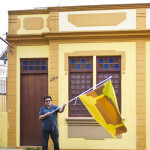 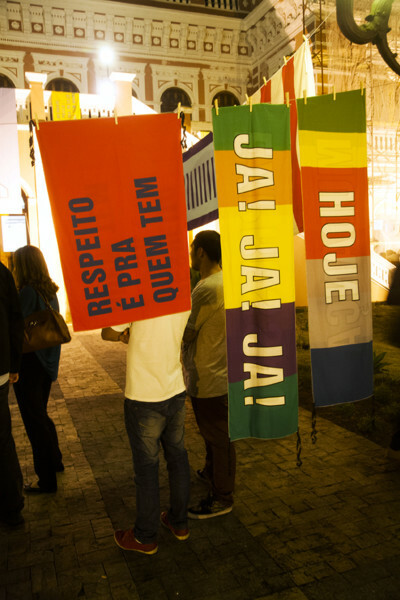 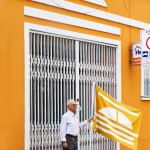 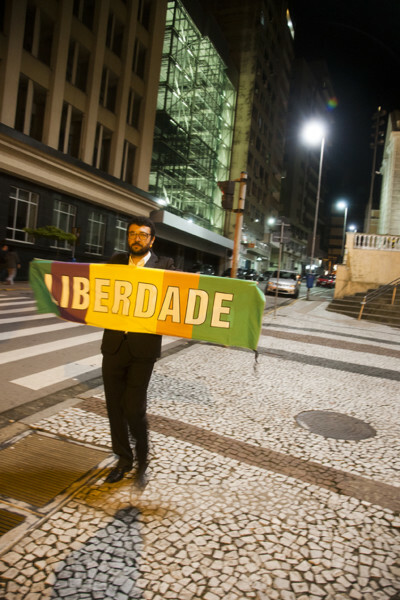 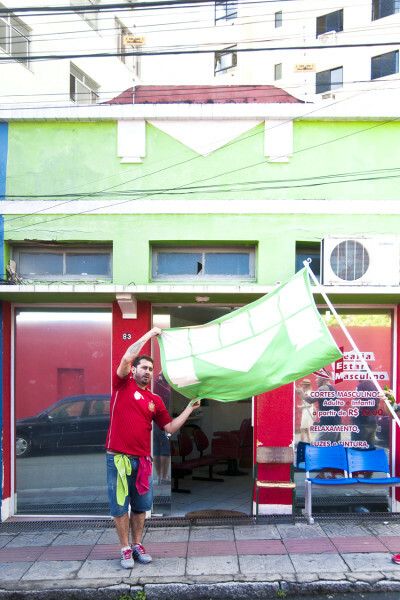 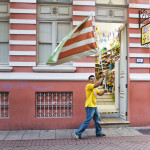 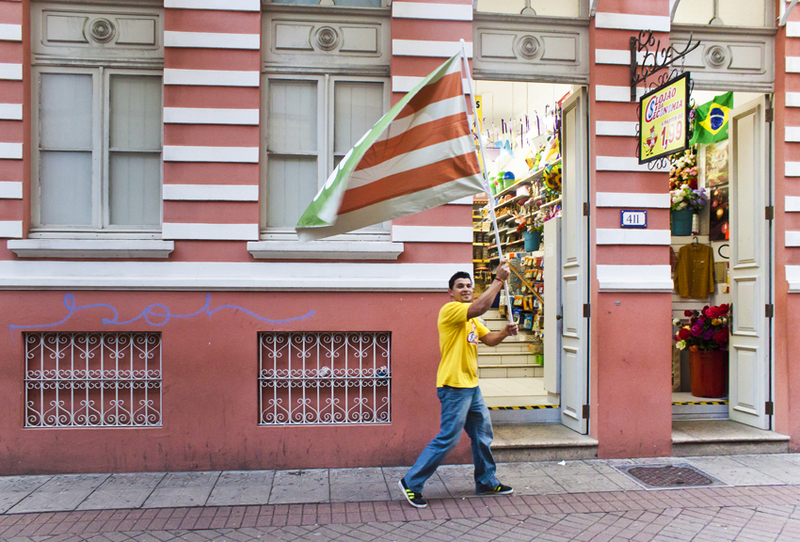 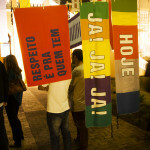 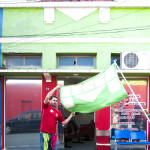 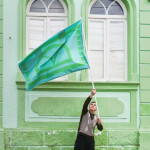 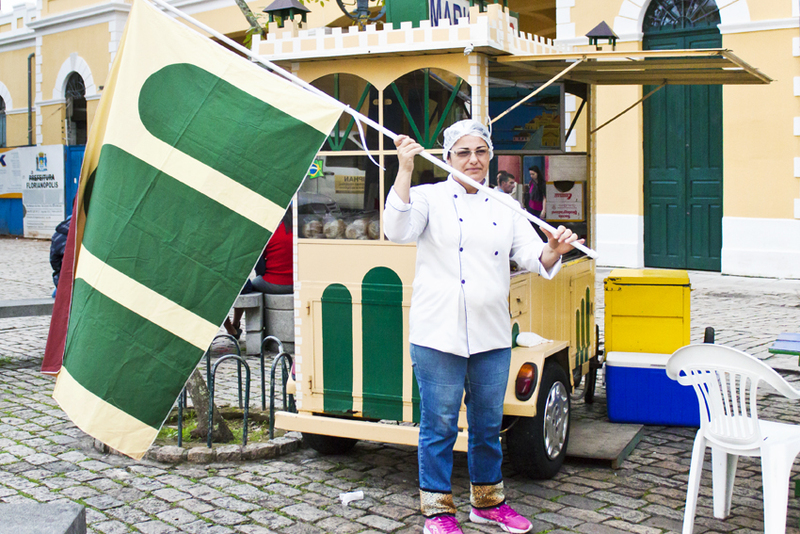 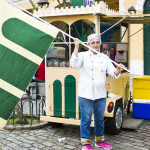 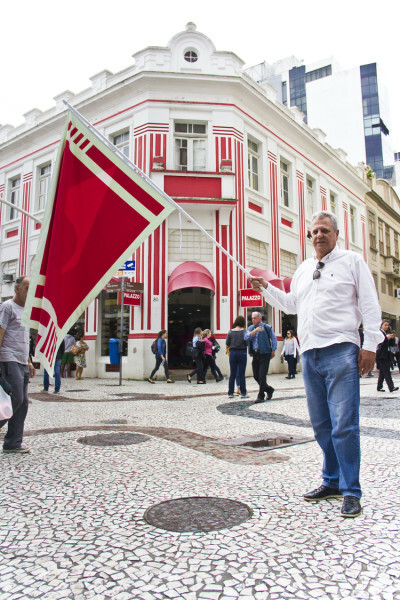 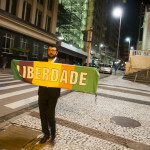 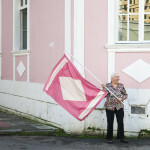 A series of flags were designed by Thonik, using the colours and decorations of typical houses in Florianópolis. 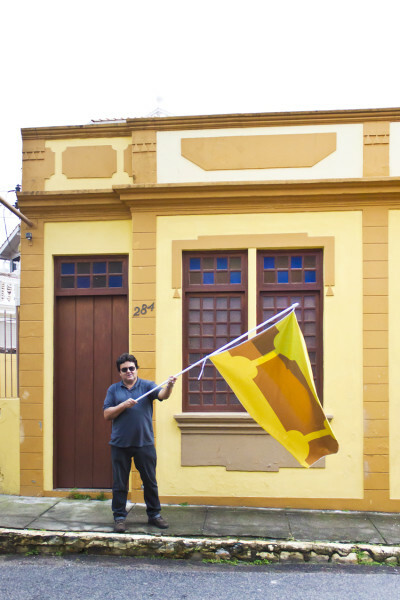 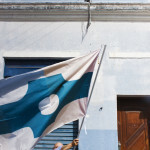 Each flag corresponded to a particular house and its identity. 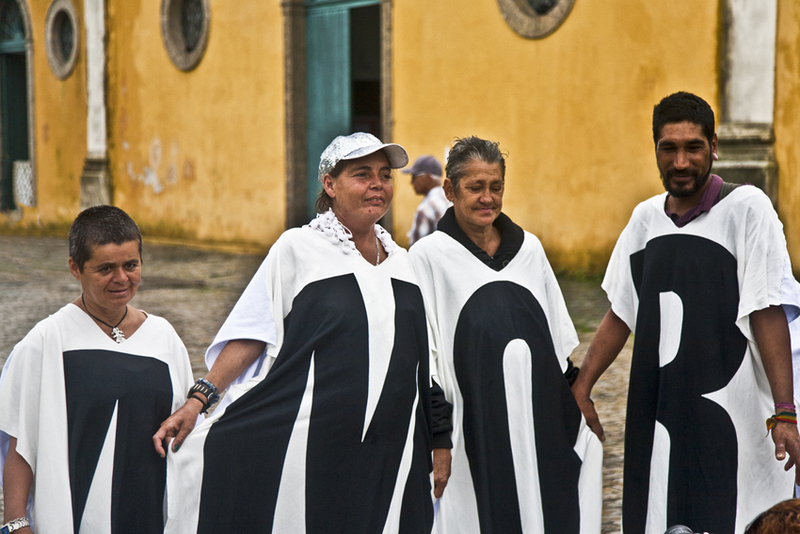 The idea was to represent citizens and families – “one man – one vote”. 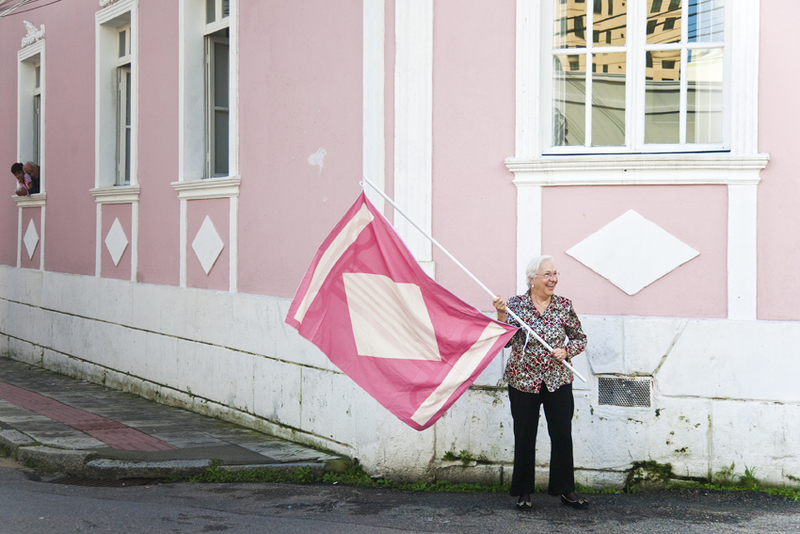 Gonnissen and Bergmans gave the occupants their flag and asked them to pose for a photograph. 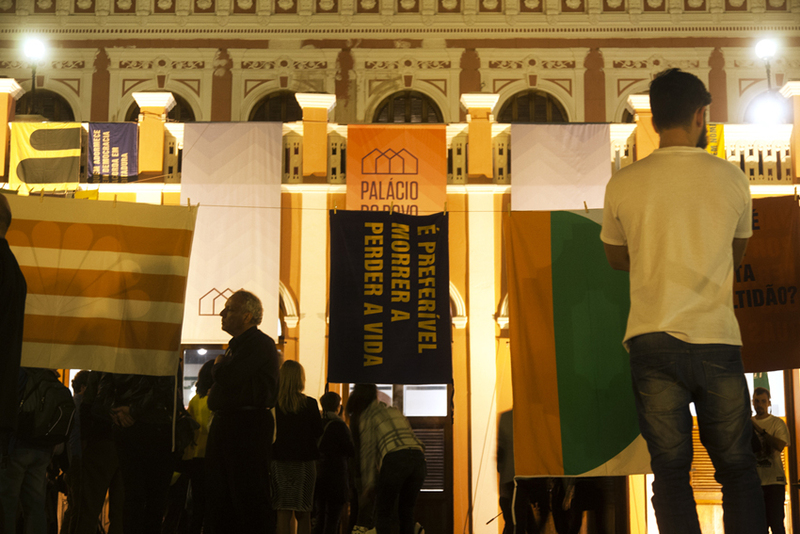 The gesture was so powerful that many participants ended up revealing all sorts of stories and anecdotes about their lives, their politics and their vision for the future. 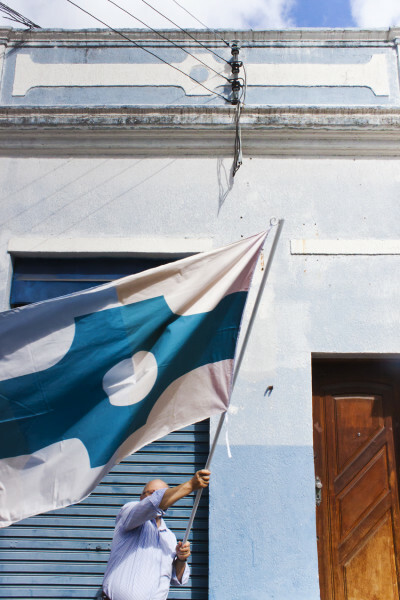 The hope was that something as simple as a flag would provide citizens with a voice to express themselves, which is is exactly what happened. 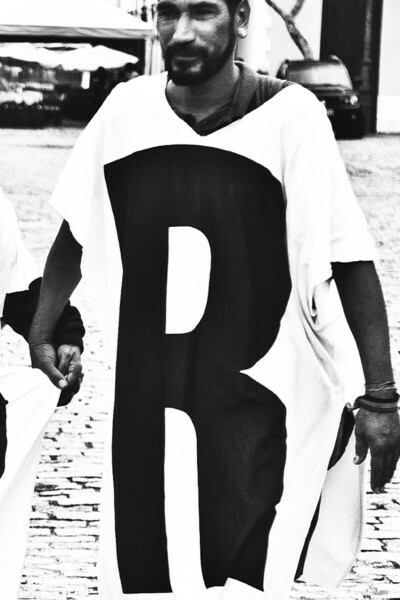 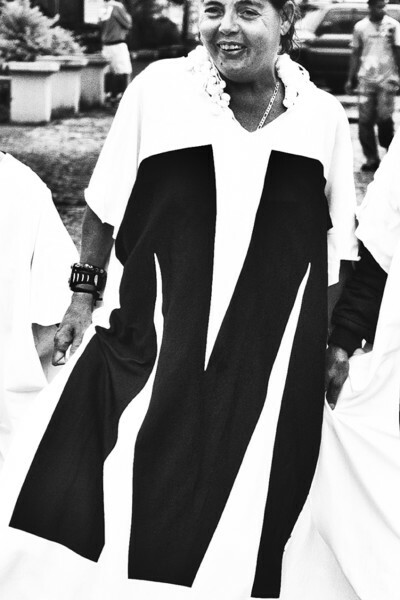 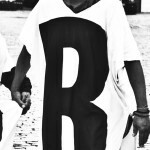 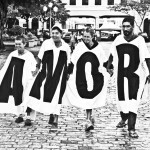 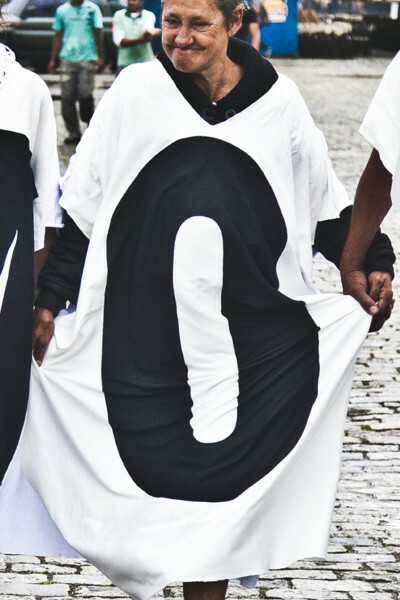 Gonnissen and Bergmans designed dresses with letters and invited people from the streets to participate in a life-event. 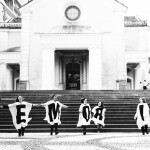 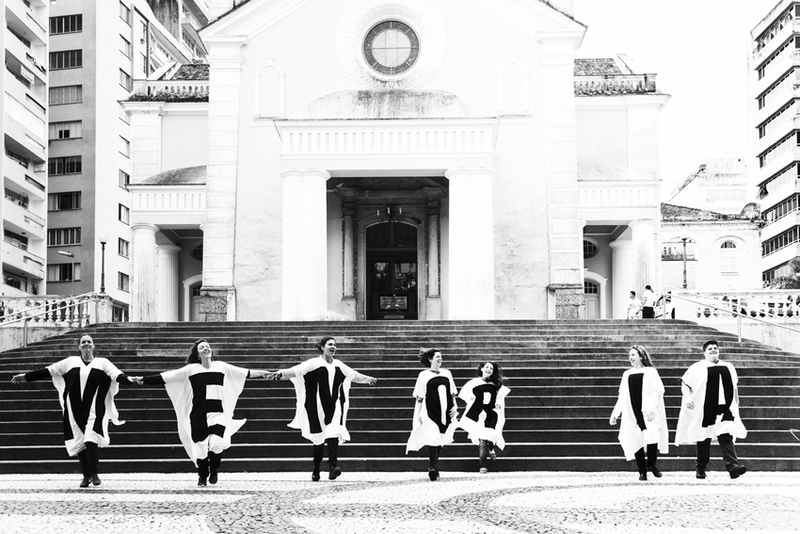 Together the letter-dresses formed meaningful and poetic words related to the Novembrada, democracy, memories, wishes and hope for the future.